Paul Baron works at the World Book of Records. The firm is a fictional type of the real-life company that publishes the Guinness Book of World Records. Paul Baron's work includes receiving letters from people who believe they have done something extraordinary. He also has to go out to meet these correspondents to verify whether their feats are worthy of the World Book of Records or not. One day, Paul Baron receives a letter from a man declaring his intention to kill as many people as possible, including Paul. 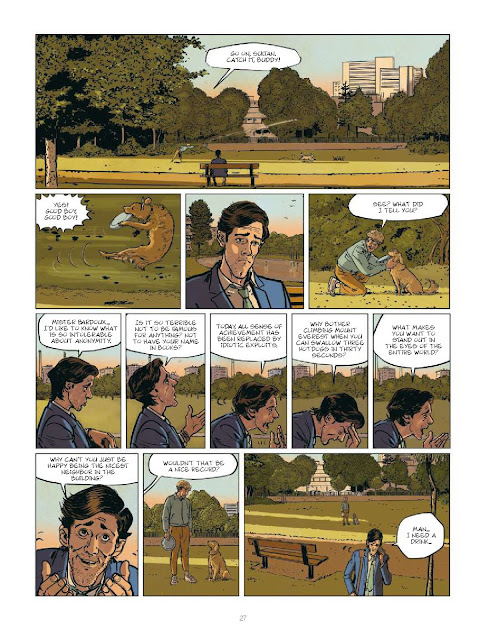 The reason for the killing is simple - he has done a great deed that would benefit humanity, written to the World Book of Records about it, but the company wouldn't acknowledge what he has done. The story follows the carnage that ensues as murdered bodies begin to pile up in the city. In today's world of social media fame and fake news, The World Book of Records tries to examine what true achievement is. It also questions if getting our names or actions on any media medium really determines our worth or the importance of our deeds. 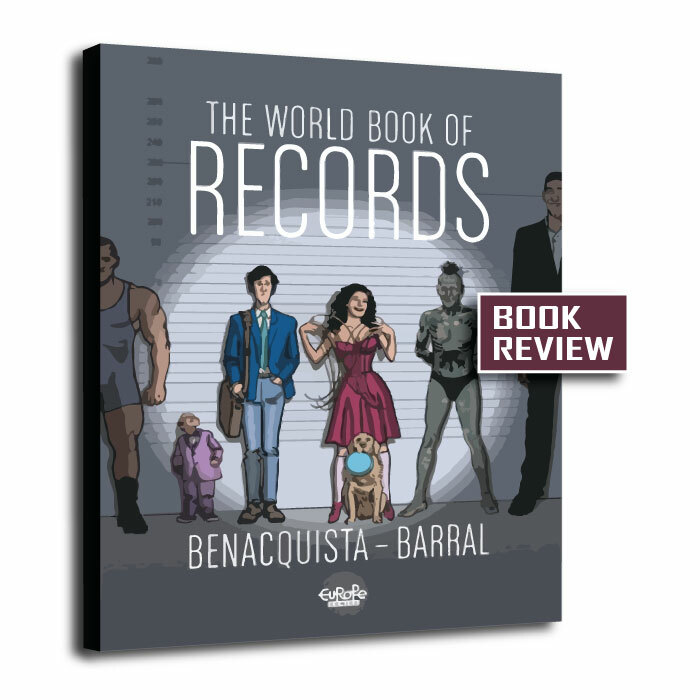 The Book of World Records by Tonino Benacquista and Nicolas Barral is a meditation on acceptance, fame, and our place in the world.